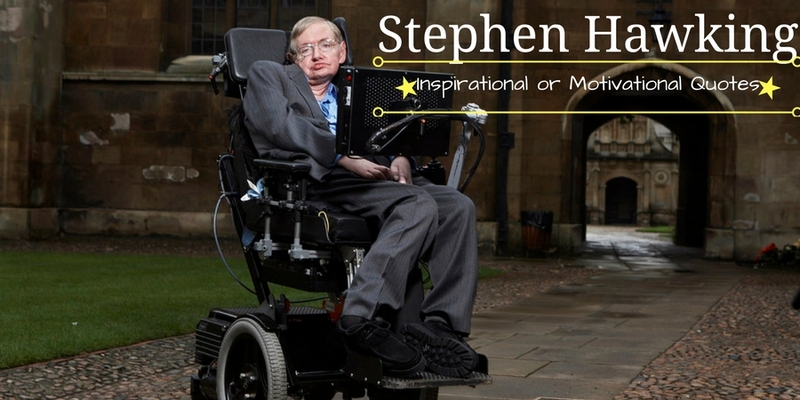 Stephen Hawking is one of the most popular physicist in the world. The strong determination he has shown in overcoming his disability in life made him famous. At 21 he was told he has just got a year or two to live. Now he is 75 and is still alive and working. He has great qualities which we all can admire and learn from him. He stands as an example for strong determination and positive thinking. He is working at an age at which the vast majority would have resigned, but he still at that age has earned a living notwithstanding a condition that disabled him physically. This makes him a true role model and a great inspiration. 32.” A few years ago, the city council of Monza, Italy, barred pet owners from keeping goldfish in curved bowls.”.”.” saying that it is cruel to keep a fish in a bowl with curved sides because, gazing out, the fish would have a distorted view of reality.” But how do we know we have the true, undistorted picture of reality? 79.” What was God doing before the divine creation? 105.” The usual approach of science of constructing a mathematical model cannot answer the questions of why there should be a universe for the model to describe.” Why does the universe go to all the bother of existing? 110.” Even if there is only one possible unified theory, it is just a set of rules and equations.” What is it that breathes fire into the equations and makes a universe for them to describe?